Once again Kandima Maldives has proved its trendy status in the island nation by launching the very first Silent Disco party at its famous Beach Club. The party was held on 10th December 2018 with over 130 people joining the ‘silent’ dance. Partygoers grabbed a pair of headphones through which they could listen to one of three music “channels” spun by the local DJs. Guests controlled not only the type of music they heard but also the volume at which they heard it. “Silent discos just are an absolute riot,” says Nizaam Mohamed, who is currently in charged of the Food & Beverage department at Kandima Maldives. “Its cooler than a concert because it’s basically three concerts in one that anyone can attend, and people get to pick which concert they want to be at. It’s interesting to walk into a crowd without a headset and hear almost nothing while everybody else enjoying their own kind of music!" Kandima Maldives has already scheduled another Silent Disco party before this New Year’s Eve and will host at least one more on a monthly basis from January 2019 onwards. “The idea behind this project is to create an accessible and fair opportunity to win a fun life-changing project covering all music genres and providing an opportunity to platform unsigned talent, and salute aims to launch music careers for both young and mature artists. 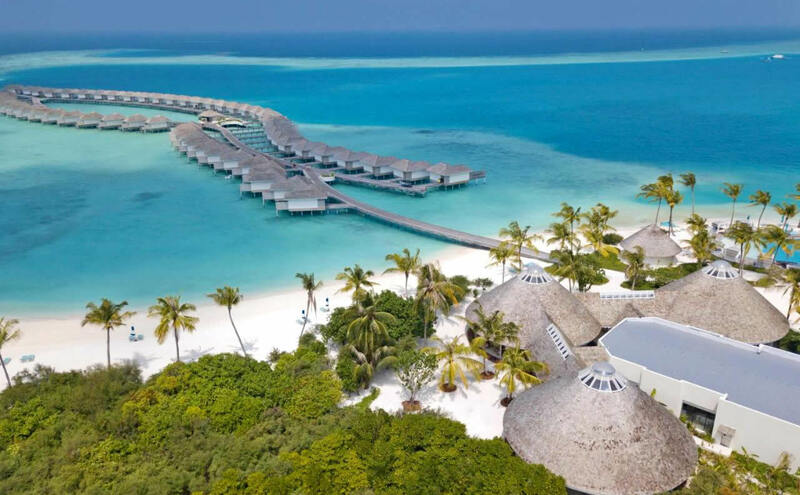 It is a win-win opportunity for both music producers and Kandima Maldives,” Anna Karas, the resort’s Director of Marketing Communication and PR, was quoted in a statement, as saying.